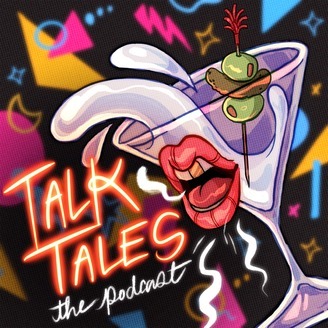 TalkTales is a comedy podcast that explores stories from behind the bar and beyond. Every week your hosts, Shana and Matt will interview a guest bartender and special characters. Tune in to hear all the crazy, amazing, and magical stories from the world of bartending! Ep. 47 "Full Moon and Full Frontal" Featuring Genevieve Patterson and "The Ladies Of Leisure"
Shana and Matt interview the amazing Genevieve Patterson, bartender at The Semi Tropic and Prado in Echo Park. In this wild and wacky episode we are graced with stories of life as a musician in the bar industry, unwanted full frontal and a full mooning guest experience. The Team is joined (interrupted?) by Fresca and Francesca, "The Ladies of Leisure" for a wild ride and lesson about some of LA's go to spots. Grab yourselves something to sip on and let's go on a magical journey into the world of bartending... Edits by Raashid Zubair at www.podbearaudio.com Theme song by Josh Carro Ladies of Leisure written by Shana Race and Ray Little, performed by Ray Little. 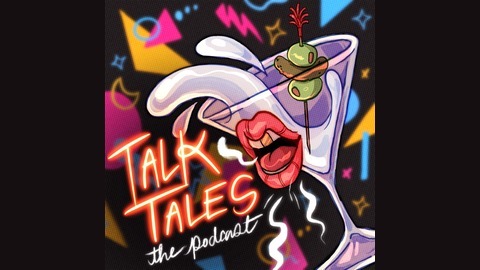 TalkTales is intended for an audience 21 years and older. We promote responsible drinking and absolutely no drinking and driving. Ep. 45 "Pissy Shoes" Featuring Nathan Howard and "Mr. Martini"
Ep. 44 "Hair of the Dog" Featuring Holly Tripp and "Hair Dog"
Ep. 43: "Go Sea Green" St Paddy's Special Featuring Kyle Graham and "St. Patty"